This Large 5 Drawer Low chest of drawers from the Cotswold range. In a warm stone colour that will suit a range of decors and is a great storage solution. 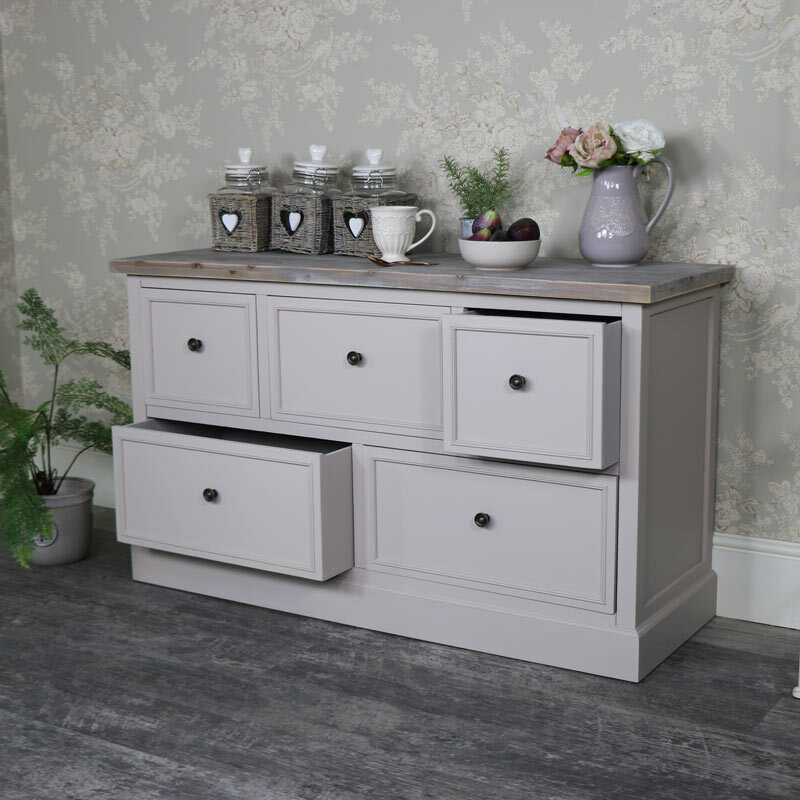 With 5 large drawers for storage of clothes, this is a wonderful addition to the Cotswold Range. 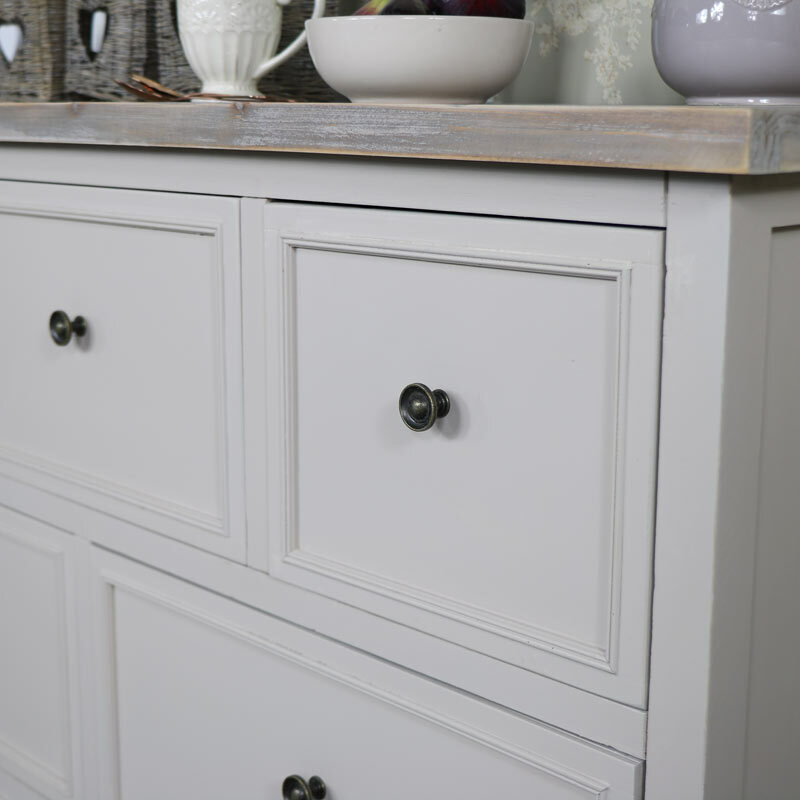 Each drawer is finished with a round brass handle and the top has a limed effect that creates a rustic finish. 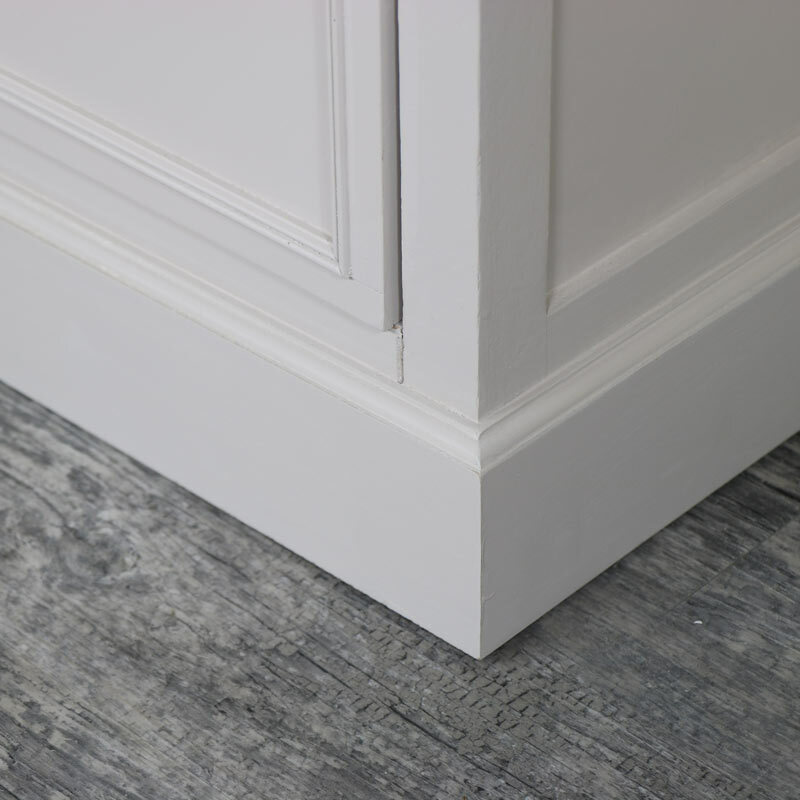 The low buils of the chest will suit a variety of rooms such as a nursey or chillds bedroom, whilst it also would not look out of place in a hallway or living room. 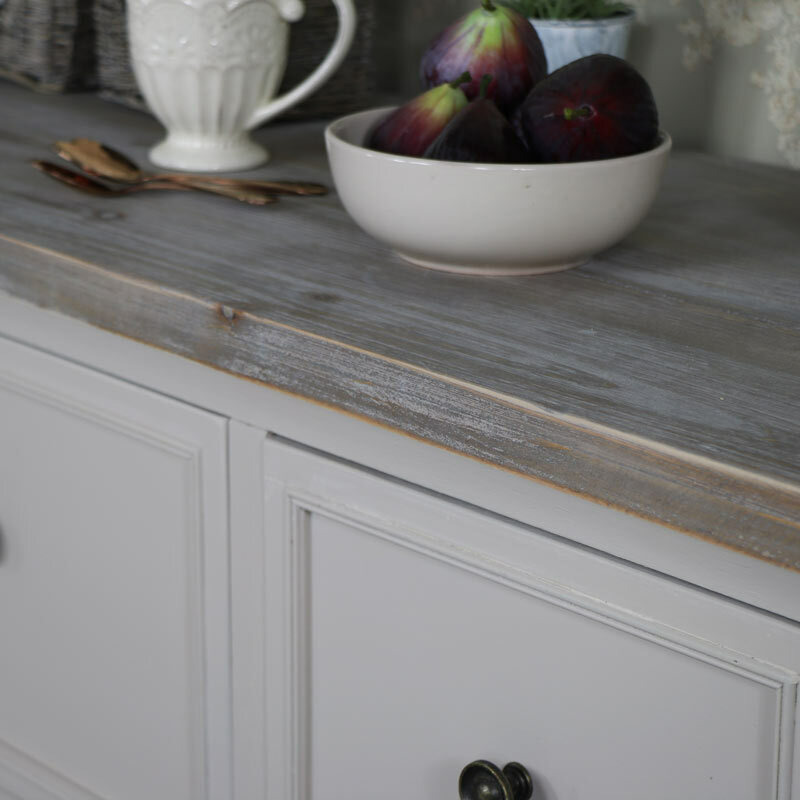 Made from wood and painted in stone colour with hints of taupe and grey and limed wood top. This chest of drawers comes fully assembled and weighs approximately 23kg. 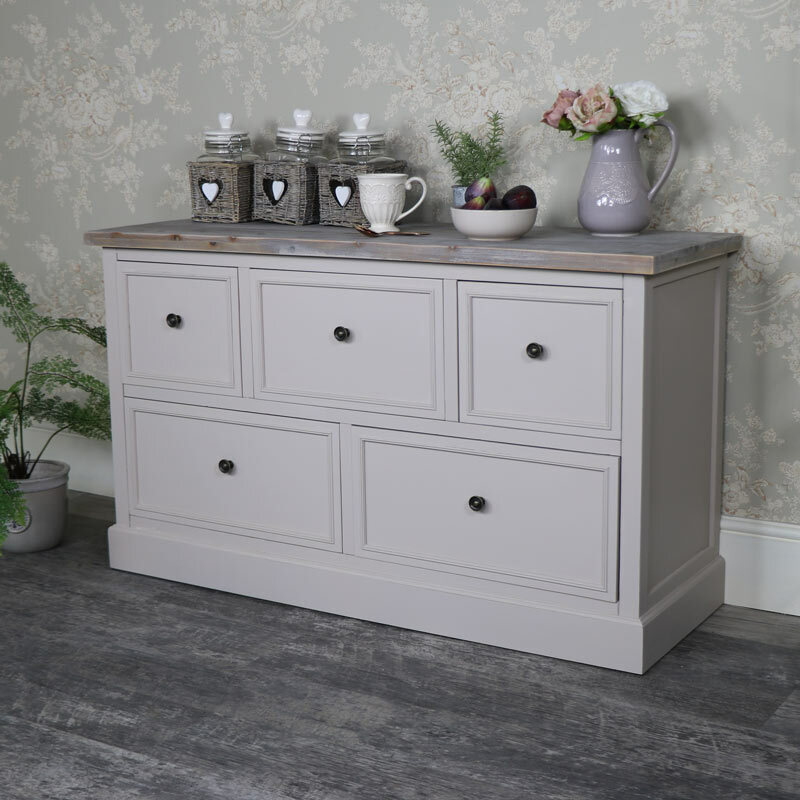 Our Cotswold Range features a large selection of furniture that will allow you to furnish your home throughout. From our stunning wardrobes, chest of drawers and bedsides for your bedroom and TV cabinets, console tables and sideboards and dressers for living room and hallway.